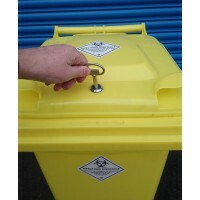 New clinical waste bins fitted with patented universal lid locksFor storage and transportation of me..
BinPin products provide modern storage solutions for wheelie bins globally. 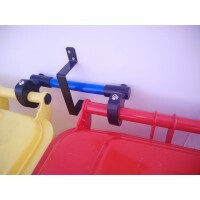 One Bin Buddy secures two bins and can be retro-fitted to older bins with their larger diameter handles using BinPin's different inserts to fit all sizes of wheelie bin. 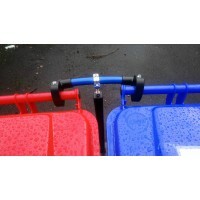 Ideal for council wheelie bins, communal bins area’s and privately owned bins. 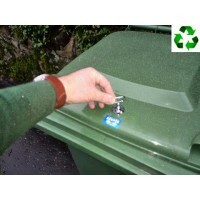 If your bins are in a communal area our lid locks prevent anyone else using up your essential bin space. 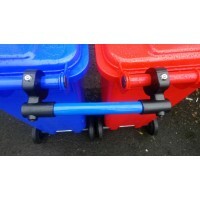 Our new wheelie bin stands provide ideal solutions for small businesses whilst lid locks help prevent unauthorised use. 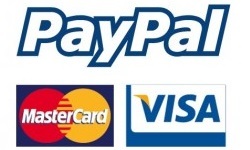 Own a small business on the high street? Then we have all the solutions no more bins blowing over or lids flying opened, keeps your rubbish where it’s meant to be! 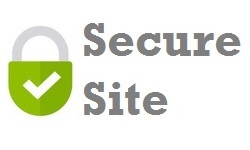 UK's No1 descrete and modern wheelie bin lock. 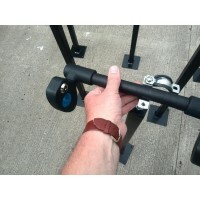 The easiest bin lock to fit on the market. ..
New adjustable wheelie bin stands. Adjusts between 360L, 240L & 140L wheelie bins. Bins on the d..